The sales of the gift industry go rocket high during the Christmas and New Year season. But there is one product in particular, which might not particularly be a gift, finds a lot of market. Well, that is the newness factor of the calendar. With each passing year, the old ones find are replaced by a different and a new one. 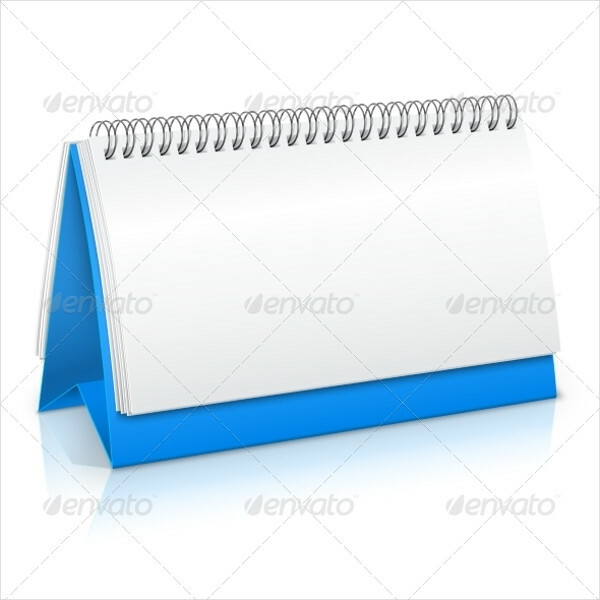 Ranging from table to wall, calendars are of various kinds. 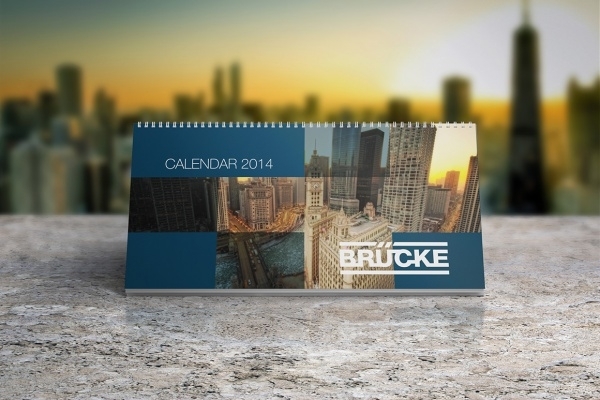 And before the calendars can be printed, it has to be fist designed digitally. For the same, Smart Watch Mockups find a really useful place in every designer’s PSD files, as you won’t want to go through the pain of starting from scratch each time, each year. 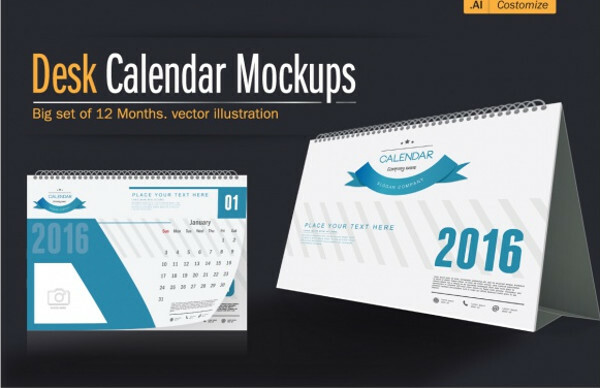 Check out the list of compiled calendar mockups which you too will find really useful for your work and practice purposes. Let’s start with the most basic calendar known to us. 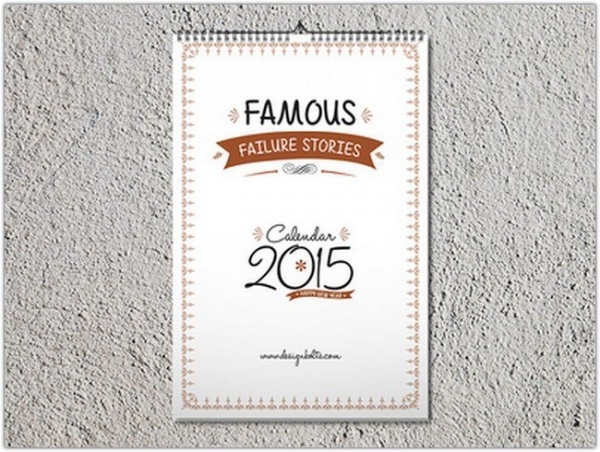 This pack contains all the various different wall calendar types are. 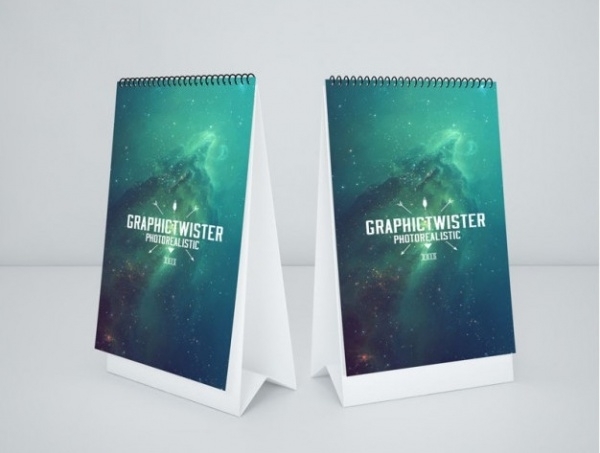 Available for a modest price of 8 dollars, this collection of high quality and easy to customize PSD files will help you create professional results. 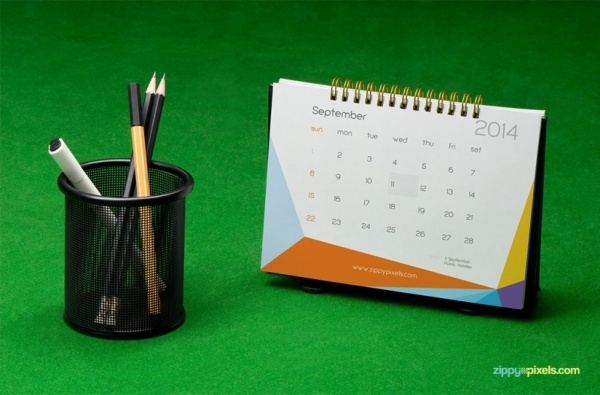 After wall, the next most common, and generally more common these days is the desk calendar. The designs in the link below show how the rectangular space can be used judiciously for amazing outcomes. 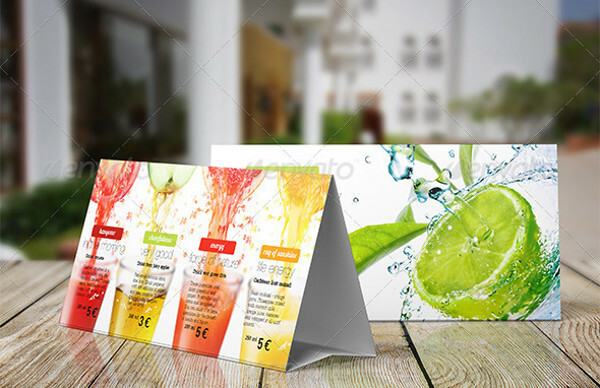 This mockup is available to download to be used for personal purposes. 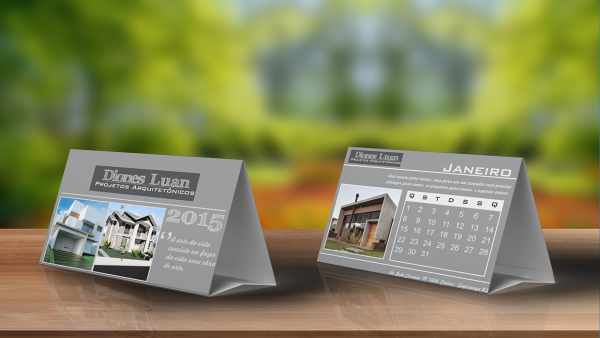 This is another mockup for the desk calendar. 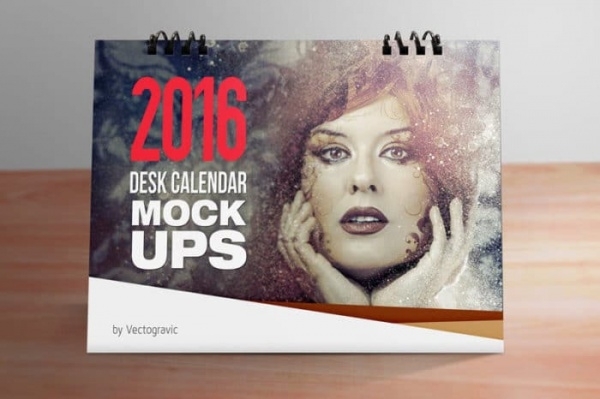 The mockup contains amazing artwork and display of two months in a single sheet of calendar. Use of smart objects makes the work easier for anyone working with Photoshop. Well, in the digital age of 21st century, the use of calendar has moved from the conventional wall hanging to an application in your mobile. 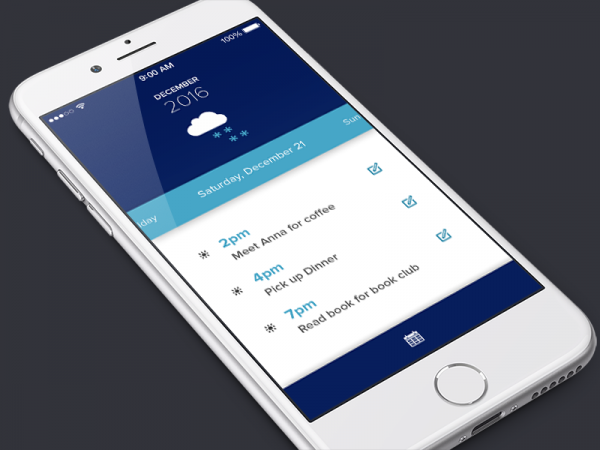 Designed by Rebecca Eriksson, this calendar application also contains the user interface for the everyday planner. 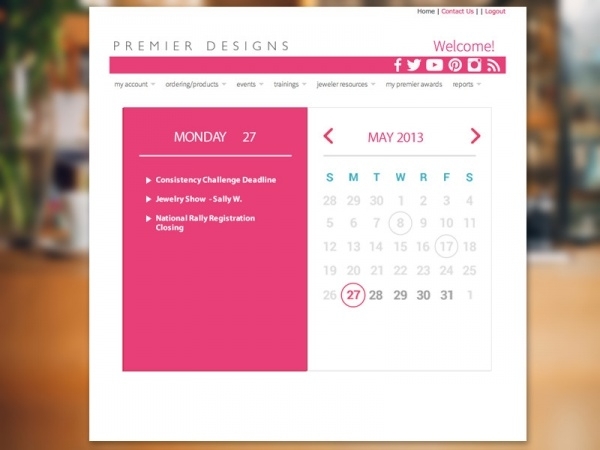 Moving from mobile to computers, here you can look at a mockup for a calendar application for a mac OS. The identification using different colors show you how you can create the design for the application UI for your client or your own application. As the name suggests, this mockup is for the month of April as per the design. 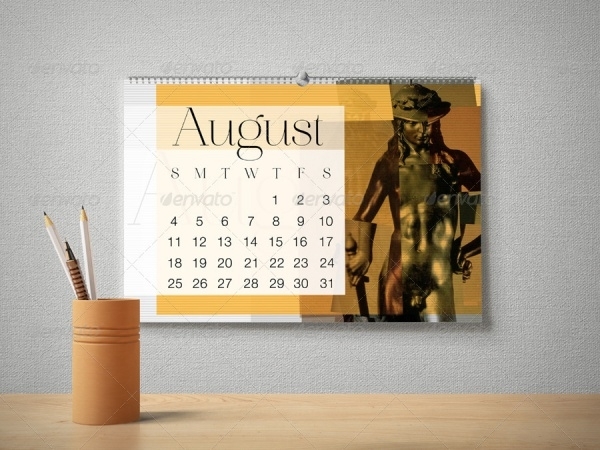 But basically it can be repeated with the correct dates and new background images to create the entire year. If this basic design suits your purposes then you can easily download it for free in the given link and use it even for commercial purposes. 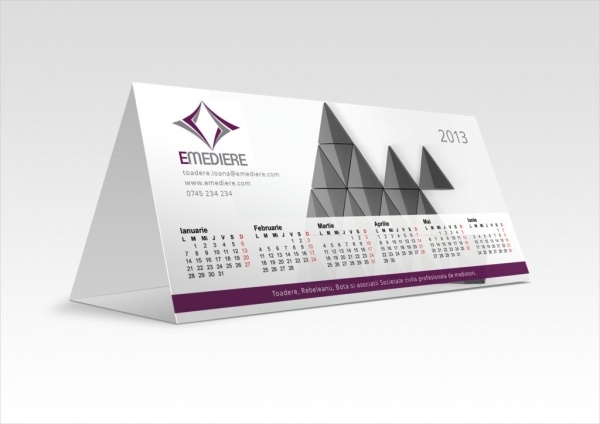 This mockup is of the conventional tall triangular table calendar that finds its place in every professional’s table, obviously. 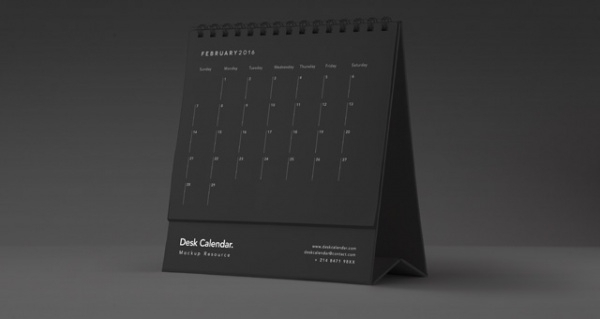 Presented with a spiral bind, this display will give you an idea of how a table calendar should be presented like. 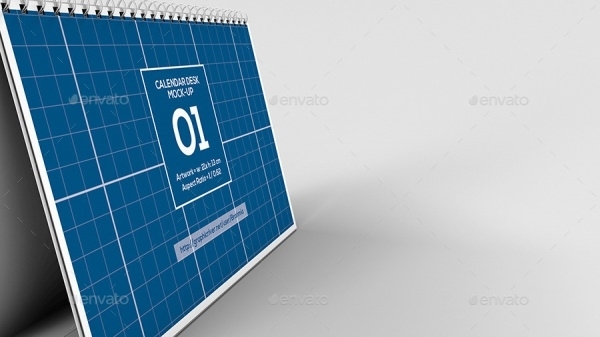 This spiral bound rectangular calendar mockup is one of the most loved designs. With the current month in heavier weight, this design also contains smaller size of the previous and the coming months. The collection of 10 different items is bound to make your work smoother for you. This calendar has a lot of branding essence apart from showing the year of 2016. 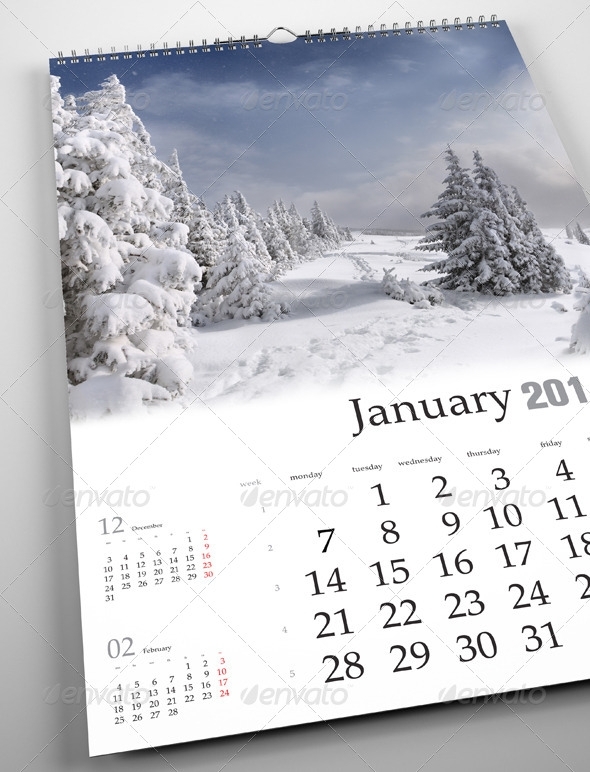 This particular is made for Adobe Illustrator, and contains high resolution file for the calendar printed in a soft tone of blue. The size is of 10 x 7 inch, but can easily be customized. The flat UI representation has been a trend in the design world for a while now. 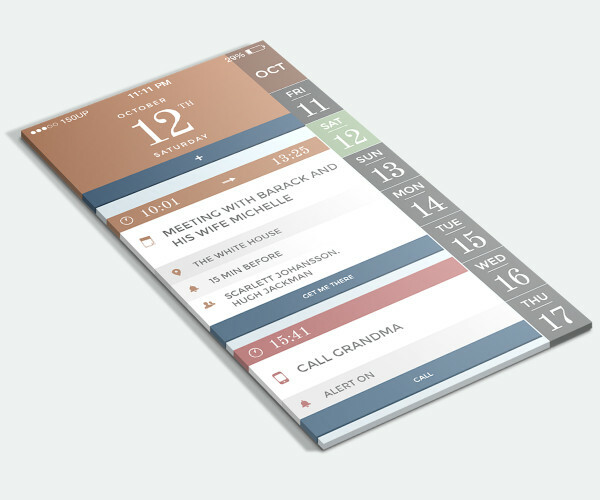 The same has been showcased in this mockup of an iPhone Calendar app. The shades of the colors used are so beautiful that it will please any pair of eyes. The use of mockups is not new in the design community. Designers from around the world are sharing their ideas and work for others to look at and find their inspiration from and even to help them in all possible capacity. 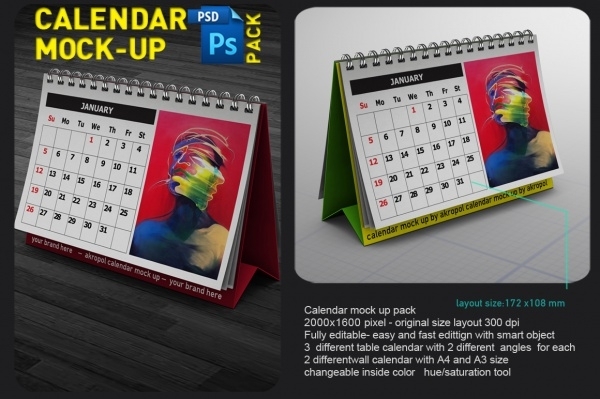 These mockups will truly be useful for you as well if you too are currently working on a similar project where you have to design the layout for a calendar. 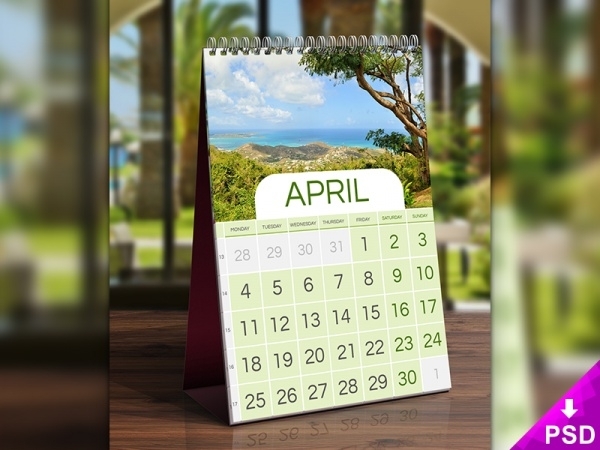 If not in the coming days, your design can wait for another few months until the end of the year when your calendar designs can get you some money rolling for other gifts.